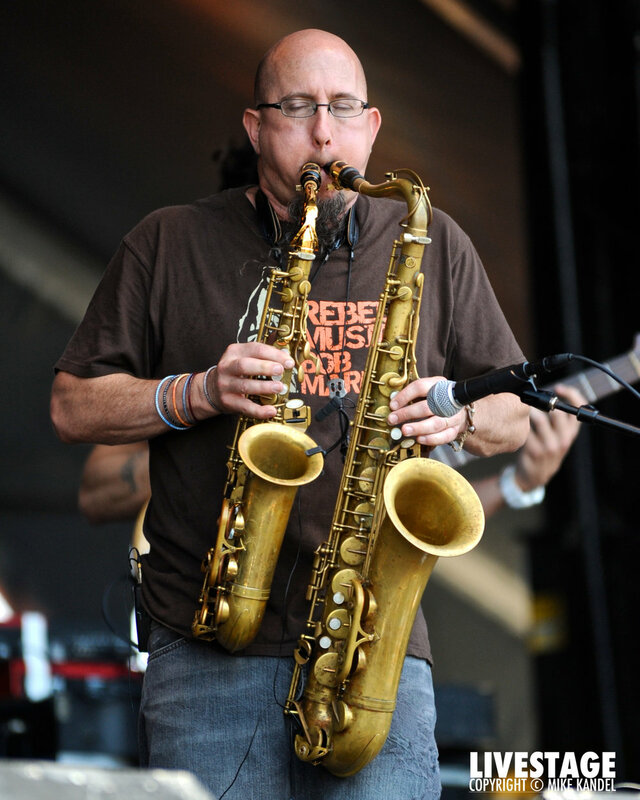 Jeff Coffin is a globally recognized saxophonist, composer, educator, and band member of the legendary iconic American rock group, Dave Matthews Band. You may also know him from his 14 years, and 3 Grammy Awards, with the genre-defying Bela Fleck & the Flecktones. Jeff fronts his own groups, the Mu'tet, and the Viridian Trio, when not touring with DMB and has released 10+ solo CD's. Coffin is known for his passionate and fiery soloing, his melodically driven compositions, his deep involvement with music education, and his continued dedication to the improvisational musical art form some call jazz. He is one of the top, in demand saxophonists in the world as well as a first call studio musician in Nashville, TN, where he has lived since 1991. Jeff is also a Yamaha and D-Addario Performing Artist and Clinitian, teaches at the prestigious Vanderbuilt University, authored The Saxophone Book, co-authored The Articulate Jazz Musician, and runs his own record label, Ear Up Records. "The gear I use with DMB is more in depth, but for my solo tours (and w/ Bela Fleck & the Flecktones) - DPA clip on mics that go into a Shure wireless transmitter...from there, into a Q-Tron envelope filter (the 'wah' effect). 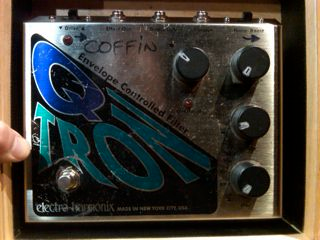 From the Q-Tron into a Line 6/M9 pedal. Then I send a mono signal from the M9 through an active DI to the soundboard. This is my 'chain' with occasional alterations. DPA mics - "the best clip on's I have ever used!"